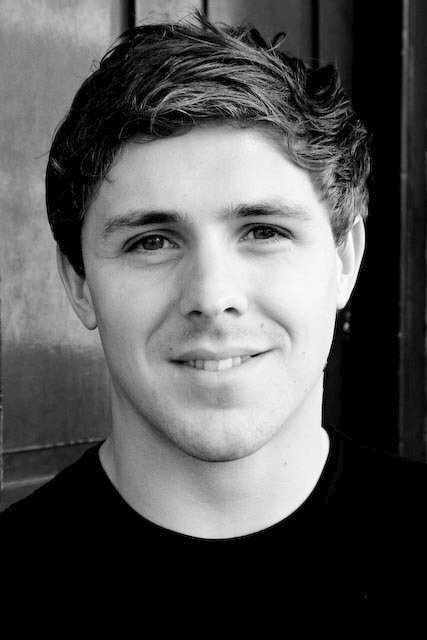 Damien was born in Queensbury, West Yorkshire and has been interested in musical theatre from a young age. He saw a lot of shows at the Alhambra Theatre in Bradford, where he also played his first role as ‘Jerome’ in South Pacific. A “dancer by heart”, Damien came 3rd in Dance Master UK when he was 18. Damien completed a BETC National Diploma in Musical Theatre (Shipley College, Yorkshire), went on to audition for a London drama school – and got in. He trained at Arts Educational School of Musical Theatre (London) where he played ‘Adolpho’ in The Drowsy Chaperone. He thoroughly enjoyed his time there but left four months early to join the ensemble of the latest West End production of Grease in 2009, covering for the roles of Kenickie, Roger and Teen Angel. Later he became Alternate Teen Angel – a dream come true for Damien! At the time of the interview Damien was originating the role of the ‘Mad Hatter’ in the new West End musical Shrek at the Theatre Royal Drury Lane. He is also one of the puppeteers who help Lola – the Dragon take flight. At what age did you realise that you wanted to be a singer/dancer/actor? I was 12 years old, and I went to see the touring production of Cats at the Alhambra Theatre, Bradford – and I was absolutely spellbound. It was that show that inspired me to be in Theatre, and wearing Lycra was something I’d have to grow to love, and I did. Two teachers in particular, Deana Morgan and Gordon Wilson. They saw something in me that others never saw and gave me the confidence I lacked in myself. I will always be thankful to them for that. You trained at Arts Educational School of Musical Theatre. What is one of your favourite recollections? I look back on my time at ArtsEd with great fondness and so could give dozens of favourites! However one particular great memory is when I played Aldolpho in ArtsEd’s production of The Drowsy Chaperone, directed by the lovely Nicolas Tudor. It was a great role that due to my age I wouldn’t have ordinarily had the chance to play, so I enjoyed workshopping that role immensely. Growing a moustache however was an education… I will never be able to grow facial hair…. They couldn’t have been happier!! They enrolled all their four children into dance classes so the probability would be that at least one would do it for a living. They are far too theatrical for their own good. My mother would let me off school to film Emmerdale or Heartbeat on a regular basis (‘it’s his career Miss Branson, his schoolwork matters diddilysquat’) and my dad would travel back & forth to auditions with me as a child. They are the epitome of ‘stagey’ and have supported me in everything I’ve done. What do you like best: singing, acting or dancing? This is a difficult question, as this hierarchy has changed regularly for me. I’m a dancer by heart, but I love all three equally. Each discipline brings their own challenges and rewards. You made your West End debut in ‘Grease the Musical’ – please tell us about this experience. The West End Debut is always going to be special, so Grease was an extraordinary experience. I had to leave ArtsEd four months early, which was sad but incredibly exciting. I covered the roles of Kenickie, Roger and Teen Angel and got to play these roles a lot, I was never out of rehearsals! Becoming Alternate Teen Angel in my second contract was a dream. I learnt so much from this show and it will always hold a lot of special memories for me. I saw ‘Shrek’ during previews, a brilliant show! How would you describe your character – the Mad Hatter? The Mad Hatter cares very little about anyone or anything, other than the fact he’s been dragged from his tea party & doesn’t know where his next cup of tea is coming from! Also, why is a Raven like a writing desk…? I’ve had so much fun creating this very English character created for the London production. My costume is as crazy as the man himself, I have a teapot & a cup of tea on my hat (it’s extraordinarily difficult to keep it from spilling)! How long does it take to put on the Mad Hatter’s make-up? Ha!! That was the bane of my life!! When my make-up was designed by the gorgeous Naome Donne I thought ‘It’s fantastic! !…I hope you don’t expect me to recreate it’. She did, and at first it took me about 15 minutes. Now, I’ve got it down to five, practice makes perfect. Lola – the Dragon is absolutely amazing! What’s it like to operate? Being a puppeteer must be very hard work. At first, even carrying it was a challenge without looking like I’d showered with my clothes on, but after working with the amazing puppeteers who worked on War Horse, they taught us how to operate the puppet (Lola-the Dragon, you must call her by her name) properly and we worked on how she would move as a living animal. We would often discuss the movements of reptiles and birds and how we could recreate the way these creatures move through Lola. I’m so proud of what we’ve achieved as a team and love that I’ve learnt this new skill. She’s the star though… it’s Lola who gets the applause, and so she should! Why should everyone go and see Shrek the Musical? Because it’s honestly the most fun you will ever have. I’ve never had such a great time on stage, everyone in the cast is loving this show. And I hope the audience can see that, and in turn mirror our enthusiasm. Sally Field is the most amazing, true and extraordinary actress, and to work with, and learn from her would be a dream. I respect her so much and love her work. She’s head and shoulders above her peers. However the likelihood of her making an appearance in Shrek the Musical borders on unlikely, although I’m sure she’d make a great ‘Fairy Godmother’ or ‘Sugar Plum Fairy’! Your favourite role so far? I adored playing Teen Angel in Grease! It was so much fun playing a camp, fantastical character, and Beauty School Dropout was so much fun to sing, I’m a High Tenor and I could play as much as I liked with it. The silver sparkling costume was a highlight of the gig also!! I did enjoy being part of the West End Chorus Choir in Chess-In Concert. Performing in the Royal Albert Hall was a terrific experience, and it was lovely to work with Hugh Wooldridge and Stuart Morley. I was desperate for Xanadu to come to the West End, Sonny Malone is a role I would love to play. I obviously would have to be at the gym every hour if I were to play it though! Fiyero in Wicked! Would be a role that I would love to tick on my list of wants, but also Bert in Mary Poppins, but that came and went sooner than it should have. I wish I could write a book. I’ve always written lyrics, just words or ideas that pop into my head, and I’m fairly good at writing silly poems and limericks but I wish that I could write. I love to read and always have a book in hand when I’m on the tube or bus. One day perhaps. Go to France or Switzerland and ski. I love going to the mountains and flying down the slopes (I say fly…I mean fall and slide on my arse) but it’s a great way to relax and clear my mind. That, or go to Hyde Park and Roller Blade. Addicted. I’d like to add that this interview has been a pleasure! Musical theatre performers work incredibly hard to get where they are. We turn our feet out at 3 years old, we stretch, bend, and put our bodies into positions they weren’t designed for. We teach our vocal chords to work properly over time, kill for a place at Drama School, get a place and sweat from 8am – 6pm every day, then race to work at 6.30 as a waiter to pay the rent. Achieve our qualifications after 3 hard years of learning Shakespeare & Keats, and join the rat race for the few jobs that our 3000 peers are also going for. Doing audition after audition & finally getting that job in the ensemble. We work for it, and it’s great to be appreciated for what we’ve worked for. You think it’s easy? Wrong. Thank you very much for this great interview Damien. We wish you the very best with Shrek and your future career – maybe also as a celebrated writer one day! Very best of luck in Shrek, and get Wicked next cos we havent seen that yet!